Because I am obviously addicted and overly obsessed with roasting fruit, here is another recipe. 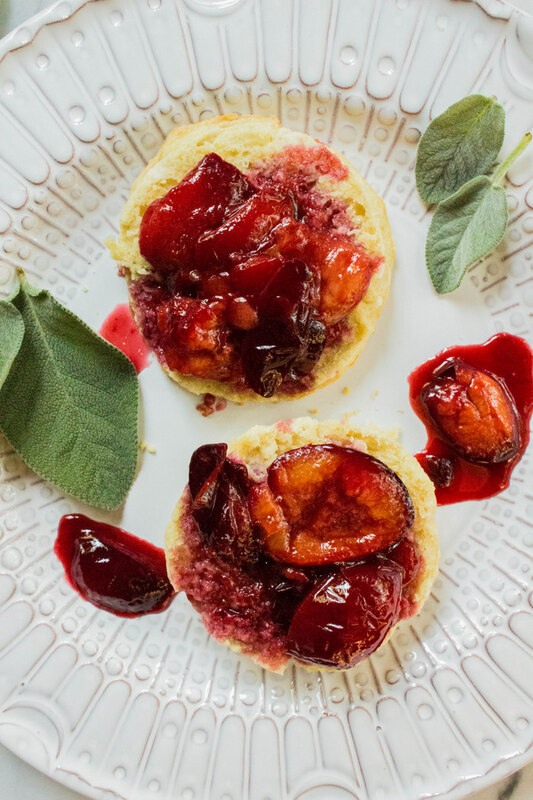 This time adding bright green sage leaves which pairs nicely with the plums creating a strong savory note that tames down the intense sweetness of the juicy plums. Once roasted tossed with a balsamic vinegar and a beautiful red wine. 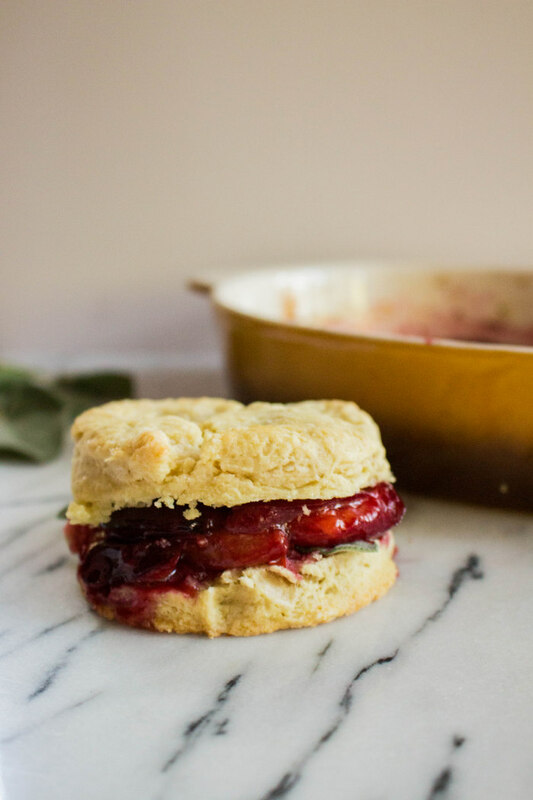 We served the roasted fruit over top biscuits to make more of a meal. But the following day ate them with our greek yogurt, cold. It was exceptional. Also good, adding them into your oatmeal. And when you only have a little bit left, rub it on a whole chicken, or broken up thighs and wings and roast until crisp and golden. You can thank me later. Preheat oven to 350 degrees and place a rack in the middle of the oven. In a large baking dish (I love my enameled cast iron ones for this) add the plums and sage leaves. In a small bowl whisk together maple syrup, olive oil, and sea salt. Pour over the plums and toss together. Arrange the plums in a single layer cut side up and roast for 35-40 minutes. Remove from the oven and top with red wine and a few drops of balsamic vinegar. Toss together and allow to cool. I served these with my favorite buttermilk biscuit recipe (similar to how I did with this ratatouille) but increasing the sugar to 1 1/2 tablespoons.